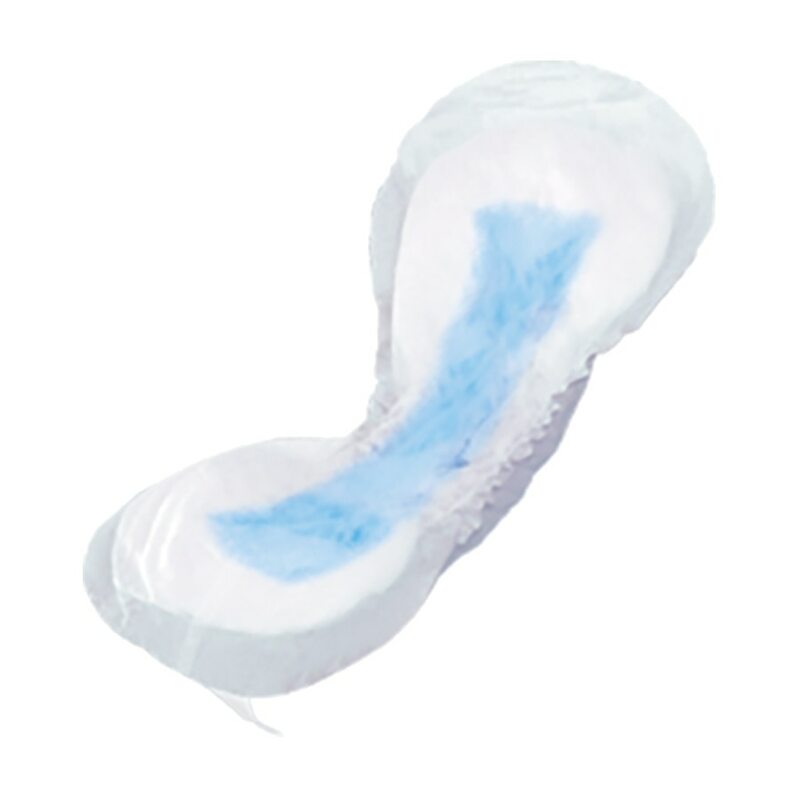 A contoured pad designed with moisture-proof backing for use in regular underwear. Gentle elastics form a cup shape that enables a secure fit and channels fluid. The pad is held in place with an adhesive strip. Available in 3 sizes and levels of absorbency.